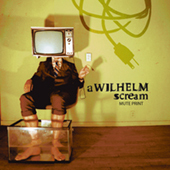 In 2004, A Wilhelm Scream dropped an invigorating album, 'Mute Print,' to an unsuspecting world. Word among fans and their peers spread steadily and the album became one of the 'must-hears' of the year. On the road non-stop since its release, playing with the likes of Rise Against, Strung Out and The Lawrence Arms, A Wilhelm Scream have converted audiences with a live show that matches the energy and complexity of the album.